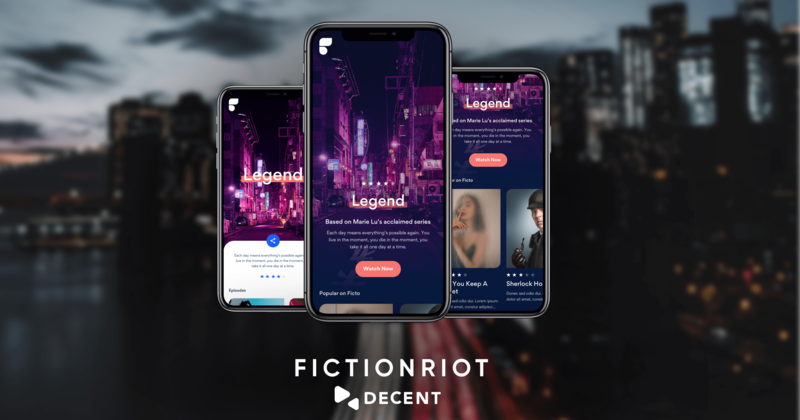 Geneva, Switzerland – January 31, 2019 – DECENT, a global provider of blockchain technology, today announced it has partnered with Fiction Riot, a pioneer in the production and streaming of user-engaged video through its platform, Ficto, to become one of the first streaming services to pay royalties utilizing blockchain. The resulting “smart contracts” are designed to deliver genuine transparency of payments in US dollars for all parties involved in the production of streaming content featured on Ficto, on par with industry standard studio rates. Ficto will run on DECENT’s proprietary blockchain platform, DCore, which can facilitate over 2,000 transactions per second.